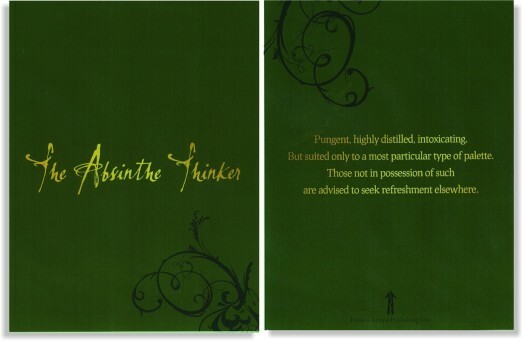 TheAbsinthe Thinker seeks to entertain and enlighten - not offend. Those who are concerned that their beliefs or sensitivities might be affronted are advised to seek refreshment elsewhere. Tel. +44 (0)1844 238692. Contacts: David, Catherine and Luke Croydon.